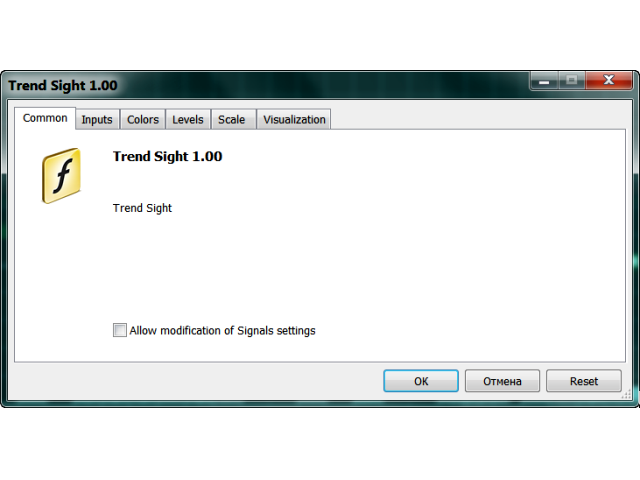 The Trend Sight indicator shows the Moving Average's percent change from the current bar to the other selected bar allowing you to track the smoothed price change rate, as well as trend strength and change. 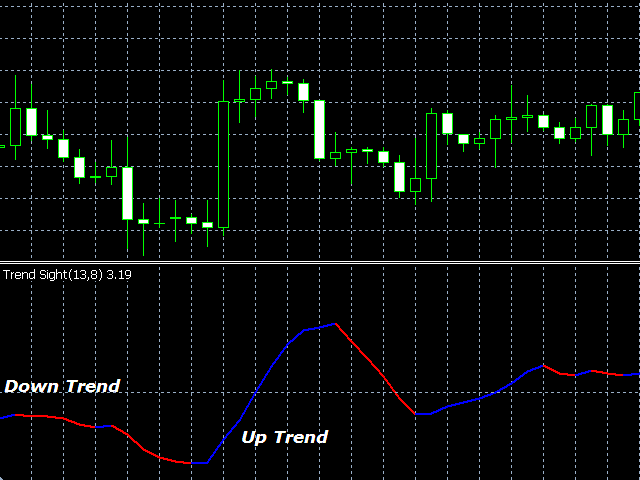 The uptrend is shown as a blue indicator line, while a downtrend is displayed in red. You should use a tight stop loss, because the line color and direction can suddenly be changed. 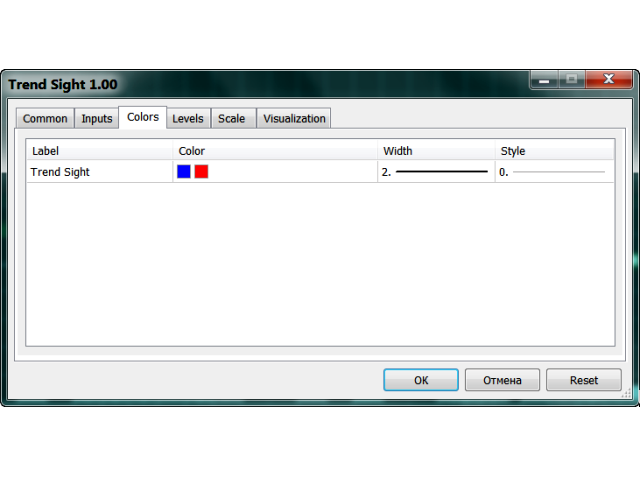 The Colors tab allows you to select the line color, width and style. shift - shift of the Moving Average from bar to bar at a distance of Shift. 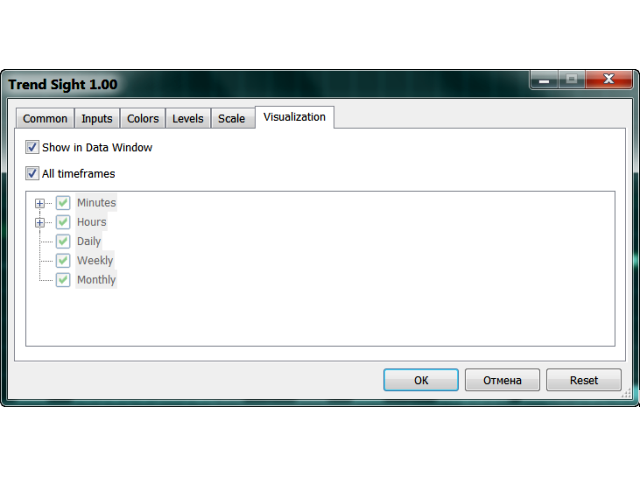 Note: if Shift is less than 1 or more than Period, the following alert appears: "Incorrect Shift value. 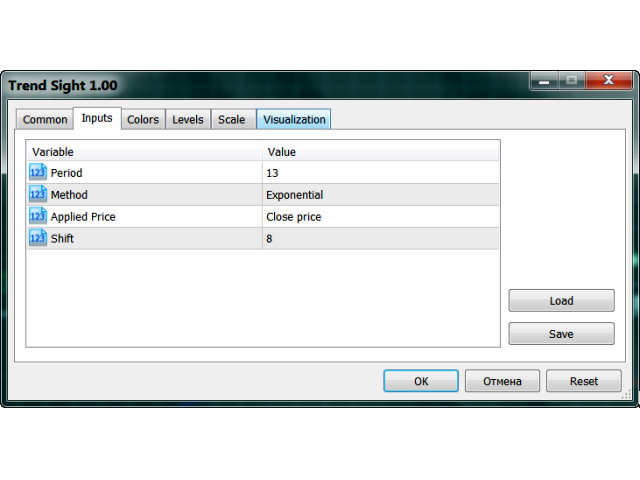 The indicator will use the value of Shift = Period.